You must make reservations at least 5 minutes in advance of the time at Joia Restaurant. Parking available inside building garage on Crucible Dr. follow arrows for Joia Parking. Located 2 blocks South of the Harrison PATH station, on Frank E. Rodgers Blvd. S.
Joia is brought to you by the family that operates the famous Sol-Mar Restaurant. 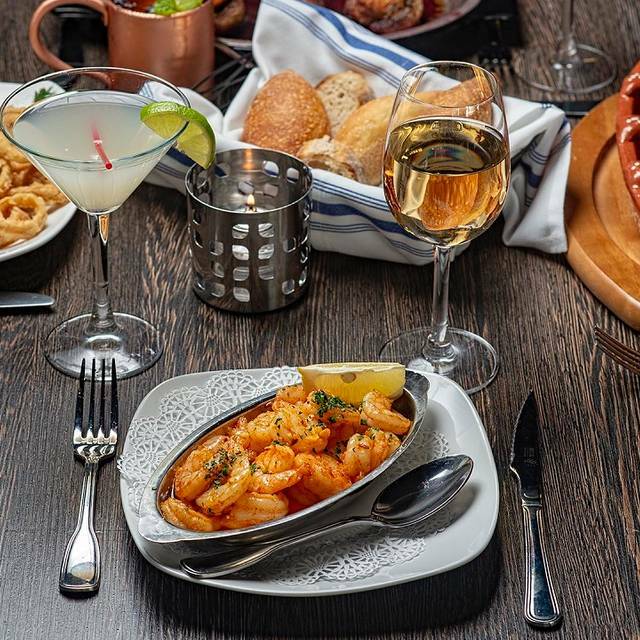 Joia Restaurant is a new restaurant focused on Portuguese Cuisine, in Harrison near the PATH and a leader among restaurants near Red Bulls Arena, located on the ground floor the Vermella Harrison. In this quickly expanding riverfront redevelopment area, Joia Restaurant is poised to be not only one of the top red bulls arena restaurants, but the hottest neighborhood gathering spot in Harrison and a destination drawing guests from near and far. In addition to classic Portuguese cuisine, Joia Restaurant features unique daily specials, happy hours, a tapas menu, an expansive signature cocktail list and a large variety of beer on draft. We are sure to be showing the most popular sporting events on our many large screen televisions. So whether you’re looking for one of the best NJ red bulls arena restaurants or a great place to gather with friends for a night out, Joia Restaurant is a great choice. Friendly and welcoming staff. Very attentive throughout the meal. Great Sangria! Stuffed mushrooms were very good. Calamari was a bit rubbery. Meals came with tons of sides. We took food home; couldn't finish; We didn't have dessert because we were too full, but the dessert menu looked really nice. Casual atmosphere. Lots of T.V.s for sports fans. Free parking in enclosed garage next door. Very clean rest rooms.